When mention of Camel Audio’s Himalaya: Pads sound library first hove into earshot, it brought to mind imaginings of herds of yak gambolling across the slopes of Jichu Drakey; the chortling of white-throated laughing thrushes. Of Nepalese maidens singing above the gurgle of Gandaki rivers; of compelling subsonic grind as the Indo-Australian and Eurasian tectonic plates grate. However, when the ergot poisoning wore off, it occurred to me that Edinburgh-based developer Camel’s latest dromedarian device may have more to do with the machinations of one Himalaya, aka the tersely surnamed Raphael S, a sound designer more associated with AAS Tassman than Tibet and with a more than passing predilection for physical modelling. Himalaya is, indeed, the individual behind this latest collection of sounds for Camel’s much-lauded sample-manipulation soft synth Alchemy. 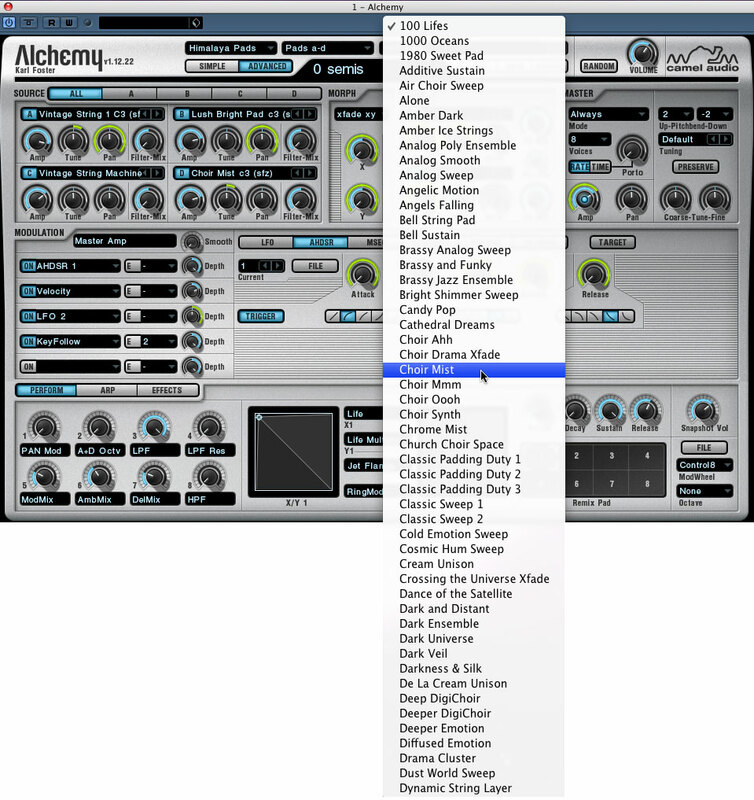 For those not in the know, Alchemy is a stupendously capable synth plug-in (AU, VST and RTAS for both OS X and Windows PC) which enables you to blend, morph and mangle multiple SFZ, WAV and AIFF samples, indulge in additive, spectral and granular synthesis, all the while applying analog-style modelled filters, effects, modulation, arpeggiation and more. It’s £179-worth of tone-warping mayhem which has blown the footwear off such luminaries as sometime Sting collaboratist BT and remix Rex D. Ramirez along with many others who like their sounds all fat and morphy. Handily for the cash-strapped, there’s the £39 Alchemy Player into which Alchemy sound libraries can be dropped and, even more handily, Player is bundled free with the £39 Himalaya: Pads library. Speaking of which, the library is billed as an ambient, cinematic and electronica-friendly 150Mb collection of 150 pads with richness, movement and lusciousness much in mind. Some muzos like their grooves plinky-plonky; some bish-bash-boshy. But you can’t beat a good pad for surging flow, and day-long freshness, too. Where monkeys might lunge for the legato strings preset when seeking something with which to bind their beats together, muzos in the know will pick a pertinent pad, perhaps evolving, perhaps gated, to bring richness and depth to an arrangement. In years of yore, Korg’s wave-sequencing wonder the Wavestation, virtualised in the sadly discontinued Legacy Collection, was often the weapon of choice when deploying complex, analog-sounding textures. What Himalaya: Pads aims to deliver are similarly analog timbres complete with sweeps, dancing harmonics, pitch-bend swoops and rhythmic noodles in jet-flange sauce with crackers. And crackers it is. A quick riffle through the presets reveals some deliciously left-field cone-wobblers, although there’s plenty of more regular-sounding timbres if you don’t want Himalayan peaks casting the rest of the arrangement into too deep a shadow. It’s said that the camel is one of the few mammals that likes a smoke. Heck, it’s even got an eponymous brand of ciggies. Truth be avowed, this library is certainly, albeit figuratively, smokin’. 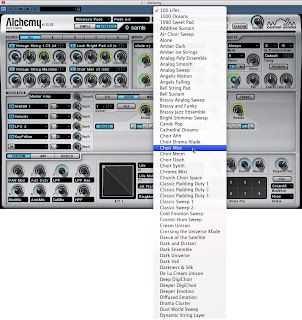 There’s reckoned to be a good 1,200 variations to be had from the 150 presets on offer, but when driven by Alchemy Player and a capable MIDI controller, the variations are seemingly infinite. Highly sophisticated modulation, cross-fading and morphing options, along with ample aftertouch effects, make the library a well cool performance tool. Sounds range from deeply fruity, through lush and mulchy to digital and spiky. So there we have it. Ambient ooze all generated by what is a super-silky splurge of sonic software. Beat-fuelled adrenalin junkies and those who prefer ragged-edged, raw synth farts may not be taken with Himalaya: Pads. But when I’m of a mood to lose myself in a lush Himalayan jungle, teeming with exotic, colourful (some sadly decapitated) organisms, I board a schooner (ie, boot up a Mac) and set sail for Himalaya’s rich soundscape. At £39 a ticket, it’s a fascinating voyage that’s well within the budget of any ambient adventurer.